Falsework is the temporary timber and steel support structure erected to support elevated improvements until they can support themselves. 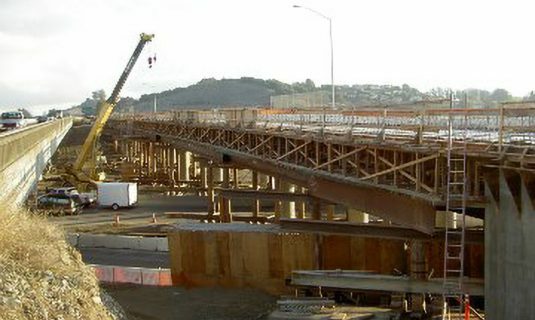 Our most common falsework projects are for bridges and highway overpasses. We are adept at tailoring our designs to utilize our client's existing inventory of beams and timber. 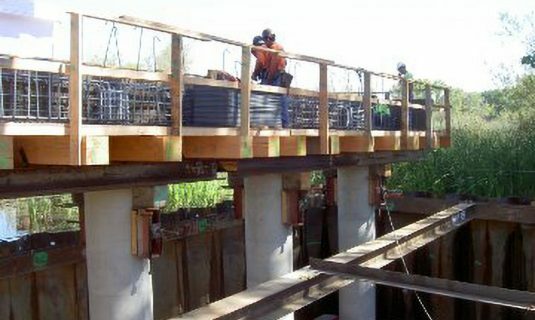 We are well versed in both CALTRANS Falsework design specifications and the Washington State DOT falsework specifications.